When I stand in the prayer line and someone places their feet next to mine. My foot sends a message to my brain that is not positive at all! It distracts me to the extent that I cannot concentrate on the prayer. Normally, I have to repeat the prayer. Yet, the brother, who stands next to me, is so convinced that he has to place his foot next to mine. Rather than react with a swift strike to the jaw. I wanted to examine the proofs to see if something was missed. So first we will look at various evidences and then come to a conclusion. Where is your proof akhi? Anas (may Allah be pleased with him) reports that the Prophet (may Allah bestow peace and blessings upon him) said, "Arrange your lines because standing in lines is part of the prayer." Reported Al-Bukhari (690) and Muslim (433). In another narration of Al-Bukhari (723), "Arrange your rows because arranging the rows is part of establishing prayer." This hadith proves that standing in straight lines is part of the prayer and nothing is mentioned about putting the feet anywhere, yet! Ibn Mas'ud (may Allah be pleased with him) reports that the Messenger of Allah (may Allah bestow peace and blessings upon him) (made us line up by) touching our shoulders in the prayer saying, "Line up and do not differ because your hearts will differ." (Muslim 432). This hadith clearly states that staying in line by lining up your shoulder to the person next to you is the best way of staying in line. Note feet are not mentioned! The Malikis and Hanafi's take this hadith because it is very clear. I think the Shafis line up their feet with the feet of their neighbour but no touching! That might not be the reliable position so please check with a Shafi scholar. The Prophet (may Allah bestow peace and blessings upon him) said, "Close ranks and do not leave a space for satan." Abu Dawood rated authentic. This is our man problem that some brothers think that leaving space between the feet helps satan. But this hadith does not back up this understanding. It says not to leave a space i.e. a space for person. None of the early community understood this to mean slap your foot on your brothers foot! There are quite a few points here. Firstly, the lines need to be aligned at the shoulder, gaps for people should not be left, and brothers should not hit each other, because that can happen, when we are close together. So again nothing about feet, so where are they getting this idea? Abu Al-Qasim al-Jadali reports, "I heard Nu'man ibn Bashir (may Allah be pleased with him) relate that the Messenger (may Allah bestow peace and blessings be upon him) faced the people and instructed, "Straighten your rows. By Allah, you should straighten your rows or else Allah will create disagreement between your hearts." Nu'man ibn Bashir then states, "I saw each person join his shoulders, knees and ankles to the persons next to them." (Sunan Abu Dawud 1:104). Before we answer this question let us look at this hadith narrated by the same companion. عن النُّعْمَانَ بْنَ بَشِيرٍ رضي الله عنهما قال : كَانَ رَسُولُ اللَّهِ صَلَّى اللَّهُ عَلَيْهِ وَسَلَّمَ يُسَوِّي صُفُوفَنَا حَتَّى كَأَنَّمَا يُسَوِّي بِهَا الْقِدَاحَ ، حَتَّى رَأَى أَنَّا قَدْ عَقَلْنَا عَنْهُ ثُمَّ خَرَجَ يَوْمًا فَقَامَ حَتَّى كَادَ يُكَبِّرُ ، فَرَأَى رَجُلا بَادِيًا صَدْرُهُ مِنْ الصَّفِّ ، فَقَالَ : ( عِبَادَ اللَّهِ ، لَتُسَوُّنَّ صُفُوفَكُمْ أَوْ لَيُخَالِفَنَّ اللَّهُ بَيْنَ وُجُوهِكُمْ ) . رواه البخاري ( 717 ) ومسلم (436) . Al-Nu'man ibn Bashir (may Allah be pleased with him) said, "The Messenger of Allah (may Allah bestow peace and blessings upon him) would straighten the rows until they resembled arrow until he knew that we understood. One day he came out to pray and was about to commence then saw a bedioun whose chest was out of the line then said, "Servants of Allah, straighten your rows or Allah will cause your faces to oppose." Al-Bukhari and Muslim. Now, the first hadith reported by Al-Nu'man says that the companions lined up their knees, feet and shoulders. This seems very strange and extremely difficult to line up ones knees to the person next to you. But the shoulders or feet would be easy. So is that why the wahabis/salafis have taken feet and the Hanafi's and Malikis shoulders? Nope let us look carefully at the hadith. One is statement from a companion and one is an action of the Prophet (may Allah bestow peace and blessings be upon him). Which has priority? Of course, the action in the second hadith over the statement of the companion. Two if they had to line up using feet then why did not the Prophet (may Allah bestow peace and blessings upon him) arrange them as such? Answer - the first report from Al-Nu'man was an isolated event. Had it been correct then there would be a similar statement in the second hadith to confirm it. So that is why the feet nor the shoulder or knees can be taken. If they are following the hadith correctly then why don't they join all the parts and not just the feet? Where do we take the shoulder from? From the first hadith reported that explicitly mentioned shoulders. Not from this hadith which itself does not give us definite knowledge because it is not repeated elsewhere. A ruling cannot be built on conflicting information, this is where the whole wahabi argument lies. Therefore, you can see how flimsy this argument is. I do think that the statement of the knees is not actual but is exaggeration/mubalaghah meaning that they were lined up tightly, because its virtually impossible to touch the knees of the persons standing on either side. The commentary of Nur Al-Idah states that the feet should be four fingers apart. (P.141 trans Wesam Charkawi). Or in the Arabic commentary of this Hasiyah Al-Tahatawi it states it is Sunnah and standing in this manner 'Is closer to attaining presence of heart in the prayer.' As well as, "The text of this is in (Abu Jafar Al-Tahawi's Kitab) Al-Athar that the Imam says there is no opposition to this." (p.262 in the chapter of prayer). Abu Jafar Al-Tahawi's work Kitab Al-Athar contains many reports from which the fiqh is derived. And Sheikh Al-Tahatawi says there is no opposition to this which informs us that none of the early scholars agreed with touching the feet of the person next to you in prayer. If none of the early community did it then it cannot be a point that could possibly be wajib/necessary. Why? because the evidence is not clear and does not reach a level where it could be considered as wajib. If the Wahabis/selefis say its wajib then the entire salaf were sinful for not spotting a wajib! Are they for real? Imam Al-Zaylai Al-Hanafi said in the commentary of Kanz Al-Daqaiq, "It is necessary for people when they pray to line up, close the gaps and line up using the shoulder." These statements back up the hadiths previously mentioned. We have proved beyond any doubt that touching the feet of the person next to you is not only unproven but also based on conflicting reports. Something that they insist on doing cannot be based on anything but sound proof, like the positions the four Sunni schools. Rather, its based on evidence which is inconclusive and conflicting. How can a religious ruling be based on anything but sound evidence? Yet, the wahabis/selefis based their entire argument on conflicting and inconclusive reports. At the same time claiming they are the people of the truth? We have highlighted the Hanafi school because we know that the best. So even if you do not agree with all we have presented then get ready for me to knock the ball out of the park! Why do we have just one hadith about the feet? Did not all the companions pray or was it just one? If it was more than just one companion then we should have hundreds of reports of companions touching each other's feet! Yet we only have a single conflicting report! If we had hundreds of reports then it would be mass transmitted/mutawtir which means we would have no doubt to its authenticity. Then denying it would be a grave sin indeed! Instead, we have a rare hadith that none of the scholars of the early community acted with or built anything upon. Unlike the wahabi/selefis who have built an unsound ruling upon misinterpreted evidence. Then spent their lifetimes touching the feet of strangers! This and other rulings of the Wahabis/selefis are based upon misunderstandings and to disagree with them is right and just. Even then they have not practiced the hadith in totality! How can you expect them to be right! Do you have any doubt in this? If they are building unsound rulings on simple matters of fiqh then ponder what else they are getting wrong in matters of faith! The Messenger of Allah (may Allah bestow peace and blessings upon him) said, "No one has ever eaten food better than earning from the actions of his hand (working)." (Al-Bukhari). Here we go again! Hmm, this seems to a common theme. For some reason I coming across people who are not just willing to work and not really concerned about working. They would rather take money from the government and their relatives. Neither of these things should be a goal in one's life! When I grow up I do not work and sponge off the government! The reality is that the majority people work and only the minority do not; some however choose not to. Maybe because they have other means of supporting themselves like investments or whatever. But the person who does not work because he is too lazy to work needs to be told off in the sternest manner and his head shaven! But for some that might not help. The Prophets and Messengers (may Allah send them peace and blessings) are the exemplars of mankind in all aspects of life. So when we look at them we can see many examples that we can follow. Some were traders, soldiers, farmers, sheppard's and all were teachers etc. The Messenger of Allah (may Allah bestow peace and blessings upon him) said, "Zakariyah (the Prophet), upon him peace, was a carpenter." (Muslim). Our beloved Prophet (may Allah bestow peace and blessings upon him) was a shepherd working to help his family out and latter on in life he was trader; in the business of his uncle. Ali (may Allah ennoble his face) used to bring water to people in Medinah. Most of the companions were traders if they were from Mekkah and those from Medinah were mostly farmers. If the prophets (upon them all peace) are the best of mankind worked; do you think that you are better than them and do not have to work? They worked and so should you. If you are trying to find work and are not having much luck then know I am not referring to you all. I'm referring to those who are able to work and simply chose not to. The greatest Islamic empire was the Ottoman empire without any doubt. 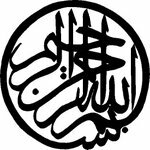 The caliphs were leaders of millions of Muslims covering a vast empire and yet each leader had a trade. They had guilds and were craftsmen and so forth. We are not better than these people. The Messenger of Allah (may Allah bestow peace and blessings upon him) said, "Dawood, upon him peace, used to eat from the actions of his hand." (Al-Bukhari). The Prophet (may Allah bestow peace and blessings upon him) once sold some of his own items to give a man sufficient funds to buy an axe so he could become a woodcutter. Thus becoming independent, see the brilliance of the Prophet (may Allah bestow peace and blessings upon him) in this matter. Rather than make the man dependent on handouts, he made him independent. A man's worth is in his work. If he does not work, even though he can, he does not have the value. Many women work and earn more than their male counterparts. Especially when their husbands are from Pakistan and can only do low paid labour. There are women who are more educated in the west and earn more than their partners. This is quite embarrassing for many males. They are insulted and even feel that their manhood's are blighted. In most cases the gap cannot be breached because they cannot re-educate themselves. So just accept it as it is and move on. Women are more beneficial to their families that the men are. They are like men or worth more! Because the women will come home after working all day to cook and clean. Women have the same status as a man would and are more worthy of being called a man than lazy man asleep in his bed at dinner time. As for those who work and do their best for their families you are like gold; as far as I am concerned. You are doing a brilliant job and I salute you. Be you male or female; you are doing brilliantly. As far as a man is concerned with his wife, kids, parents too old to work and family he has to provide for them (Quduri). If he does not he is sinful and you can read up about this in the books of Islamic law. This is in terms of housing, clothing and food etc. So the upkeep of the wife is upon the husband. She on her part has to respect her husband's wishes because of it. Though it was part of European culture for both genders to say that they 'love, honour and obey' their spouse. The man on his part should never take advantage of the weakness of his wife. More can be read about this about the treatment of women post; click here. In any case women have more rights to be fulfilled than then the men. He has a lot to do for her that she does not for him. But that a totally different subject. There is nothing better than doing an honest days work for a honest day's pay. In fact it's one of the best things one can do. It's also great for the nafs because it brings it down a few pegs and keeps it busy. If you allow your nafs to be unoccupied it will rebel and you start sinning. Working is one of the ways of keeping the nafs tired so it does not have the energy to commit sins! If you are not working then the least you should be doing is the prayer. You have no excuse is missing it and nor is their excuse even if you are working. It is difficult for anyone to lose their job. It causes a lot of damage because people are not able to move on. So some time needs to be taken so they can take stock of the situation and move forward. It harms men particularly deeply because they are the main breadwinners. Then it is taken from them. The man needs support and time to get going again. If you need other skills then seek them. If you want to try a few matters then pray Istikhara prayer and you'll find the right one open to you and the others closed. Unless, in the unlikely event of both being open for you. Keep trying to look for work and make use of your time with acts of worship. We hope that you have all the success in the world looking for lawful income. So now we vented our spleen all over the place. We hope that its been useful for you to ponder and reflect. Peace! What is the religion of the Prophets (upon him peace and blessings) parents? No, it is not a shopping list! Seen as no one else is speaking about these matters we decided to write. This is the real question isn't? Why is not anyone speaking about these issues? This is one of the many problems that our communities have. We pretend that we do not have drug addicts or alcoholics in our communities. It is as if we have closed our eyes and pretend that these things do not happen. If it is in your house, can you pretend anymore? In any case, I am sick of pretending that everything is okay and we are in need of some action. It is perfectly clear that there is very little support for such people. I would like to question why so many Muslims sell alcohol and cigarettes in their shops when everyone knows their harm! Why have we bowed to the world by allowing the greatest tool of satan in our shops? That money you earn from it is unlawful and you cannot give charity because it is corrupt. Alternatively, as one of Salaf described trying to clean clothes by pour urine over it. Who is going to wear them? No one in his or her right mind would! According to the Shafis the trade of alcohol is not valid. Of course alcohol is the worst of them but neither should be sold. Some people have addictive natures so they continue to want more "highs" and eventually move onto to drugs. There is a culture amongst the youth of getting together on the weekend and indulging in such actions. The most obvious is the cigarette then moving onto to cannabis and so forth. Cannabis is very common with many of the youth and it is more common that you think. Commonly they go to clubs and pick up girls then go to a friend's house. The rest does not bear thinking about. Smoking is a lawful action according to most schools of law or highly disliked which is the highest warning which is commonly substituted for haram. Now it is such common place that the whole family might be smoking and would not see this as unusual. The person who does not smoke is more unusual to them! This is the worst of habits that someone can have. Smoking damages, the environment during production then when it has used it, harms all those who breathe in the toxins especially children. It harms you if you did not already know but of course, you ignore this because it is an addiction. It is going to be difficult for you to give up straight away. Ibn Sina recommended that people give up addictions gradually and not cold turkey. Smoking is one of the harder addictions because it is socially acceptable. No one should be under the illusion that these things are allowed. They are all unlawful under all circumstances. Except of course in the highly unlikely event that you will of thirst if you do not drink alcohol because you are in the middle of the desert and there is nothing else to consume. It would only be lawful for a short time until you find something else and you only consume that much that would keep you alive. Not the whole bottle! See Sheikh Muhammad Al-Yaqoubi khutba on smoking click here. These are two of the most commonly used drugs whose industry is worth billions. Why are these promoted so heavily? Well as long as people are drinking and taking drugs then they are only a danger to themselves, in most cases. It is all part of the social control and conditioning. Advertisements of alcohol are widespread especially on television, internet and billboards. Therefore, it is any wonder that they wonder what it tastes like? We have to know it will be replaced with pus of the people of hell. Do you still want to try? Click here to read the hadiths on it. We have to remember that alcohol/wine destroys brain cells. The more you consume the greater harm you are subjecting yourself. So if you are addicted then use alcoholics anonymous, please try to quit. I would like people who are addicted to know that their families still love them and would love them to clean their acts up. They hate addiction not you. They are ready to accept you when you come clean. So take one day at a time and quit. Why do we have so many drugs in our societies? Are we not concerned about protecting intellects? They destroy those who use them, is this not enough for you to give up? They cannot live without thinking about that next fix. They spend everything they have just for it to destroy them! Addiction to everything but Allah (the Exalted) brings ruin. Had they been addicted to Allah (the Exalted) then they would be Awliyah. We are in dire need of Awliyah and are not in need of anymore drug addicts. There should be a social agreement to reject drugs in all human communities across the world. We should have a zero tolerance policy on drugs dealers and suppliers as well as those who produce it. One of the best things the Taliban did, in Afghanistan, was to set the poppy fields ablaze. Thanks to the occupying forces, these poppy fields now produce 90% of the world's cocaine. Therefore, they brought freedom to the poppy fields and allowed them to express themselves all over the world! The wonders of the democratic system of puppets! It is not the first or last time war efforts have been funded by drugs. Vietnam was known for this as was Britain when it brought china to their knees by opium. The brits in question were members of parliament! Drugs were flooded into American societies of the poor, which brought social problems and crime with it. It could also be credited to removing the vitality of the black rights movements. When someone is high, they are not bothered about examining the reasons for failure or their problems. They forget all their troubles for a moment. It is not that easy because the pleasure is momentary and dissipates very shortly. Sort out your problems and do not turn away because you they are not getting solved otherwise. Face them, sort them out, and build a better future. You still have opportunity to do something about the present and that why it is a gift! The past has gone and you cannot change it but you can do something about the present. Therefore, do something good and quit the addiction. If you would like to read something, more then click here for forty hadith about the unlawfulness of addiction. Read them and please give it some food for thought. The world would be a much better place without drugs of destructive nature. Intellectual pursuits are what should be sought and minds need to be expanded with knowledge. Instead, we are just like cattle consuming without realisation of the state we will meet out Lord. Do you want to meet the Lord with a needle in your arm or drunk surrounded by the bottle? The state in which you die is the state in which you will be resurrected. So how do you want to be? Some blessed people had their souls taken in prostration. How I envy to be like such people (in a good way). You still have time to be the person you could be, all it takes is some will power and determination.